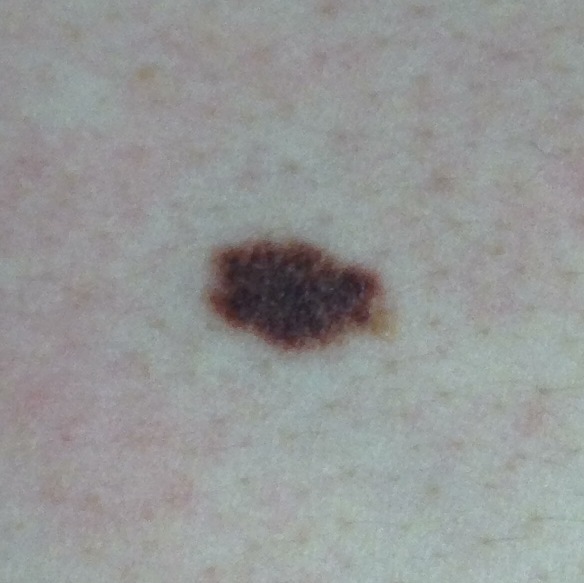 Examples of skin cancer pictures. 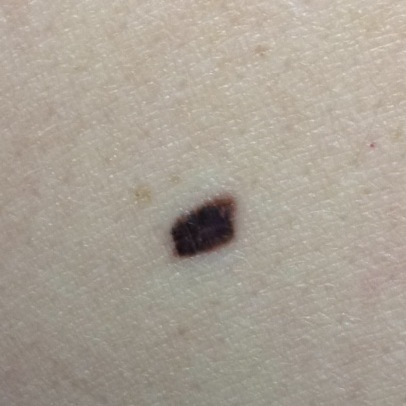 Our overview of skin cancer pictures includes pictures of moles and other skin spots that you can use as a first comparison to any moles that might worry you. 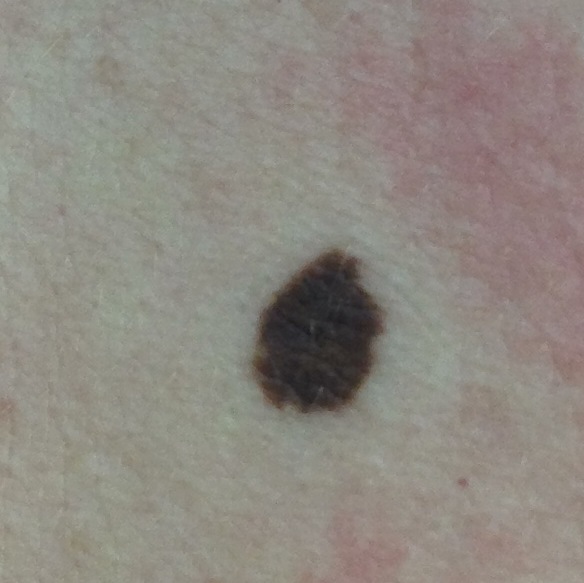 The skin cancer pictures give you an idea of what skin cancer can look like. 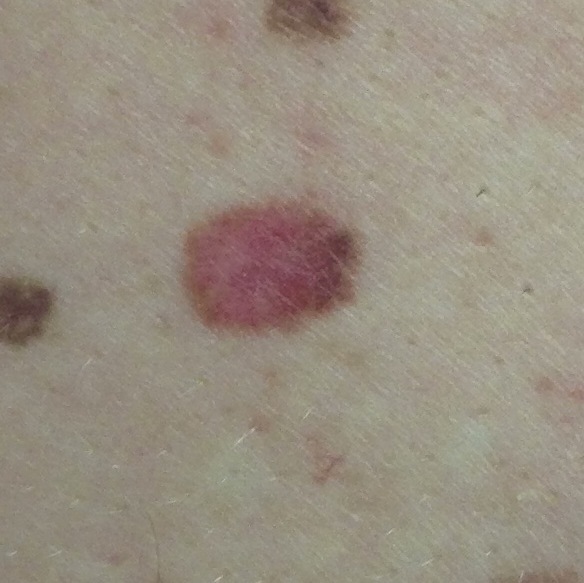 Signs of skin cancer differ in form, color and borders. These signs are shown below each picture. Other signs such as diameter and evolution are not shown, as they are difficult to assess through static images. However, when you do a self-examination of your skin, make sure to check for these signs too. 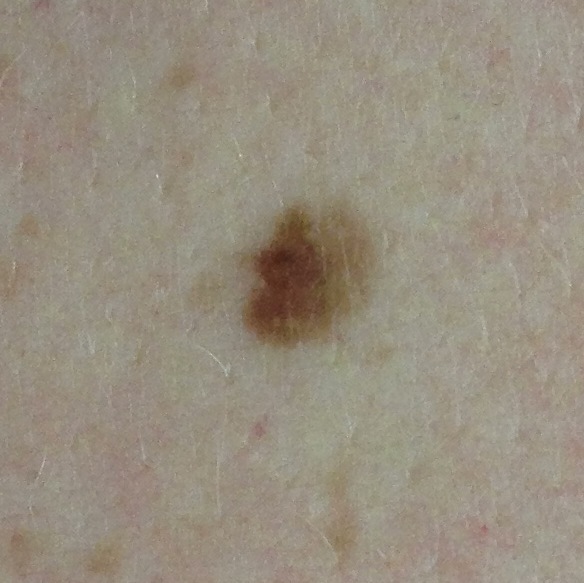 You will notice that all these skin cancer pictures are quite different from one another, making it harder to detect the disease by only a few pictures. Download SkinVision to check your skin for signs of skin cancer and get an instant risk indication. 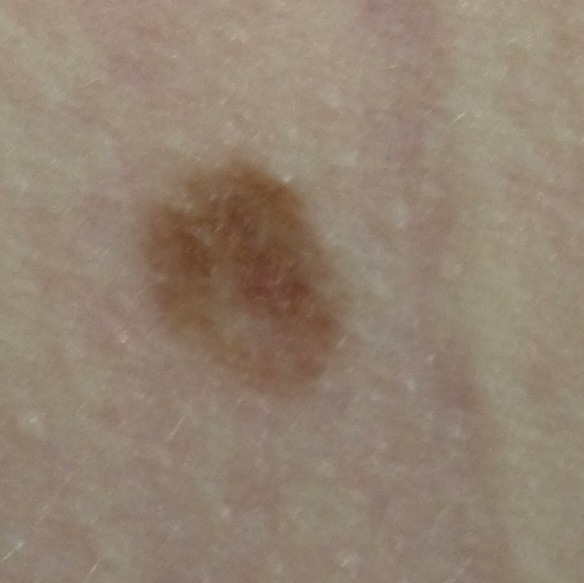 How does skin cancer look like? 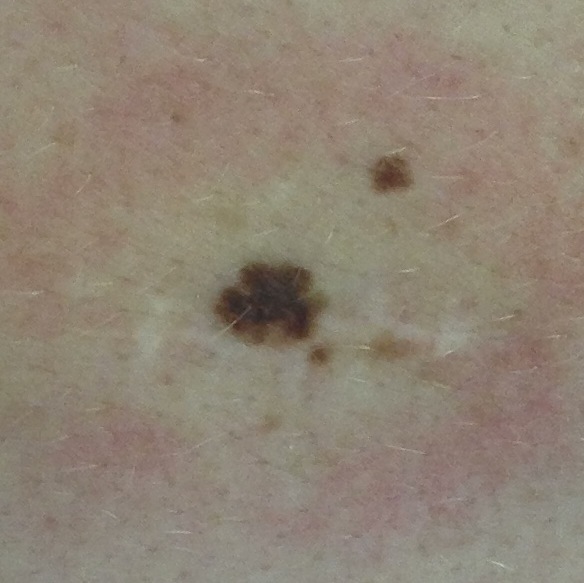 Our overview of skin cancer pictures includes pictures of moles and other skin spots that you can use as a first comparison to any moles that might worry you. 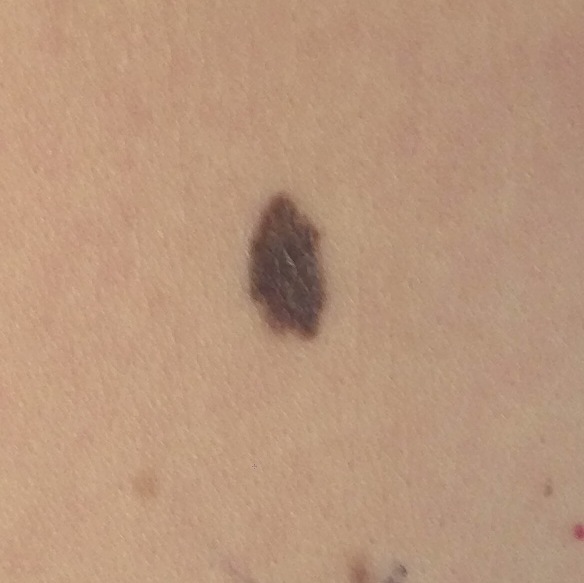 The skin cancer pictures give you an idea of what skin cancer can look like. 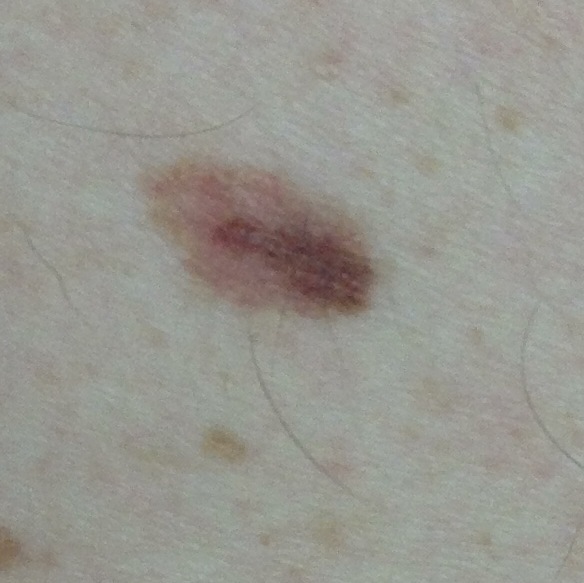 Signs of skin cancer differ in form, color or borders. These signs are shown below each picture. Other signs such as diameter and evolution are not shown, as they are difficult to assess through static images. However, when you do a skin self-examination, make sure to check for these signs, too. You will notice that all skin cancer pictures are quite different from one another, making it harder to detect the disease by only a few pictures. 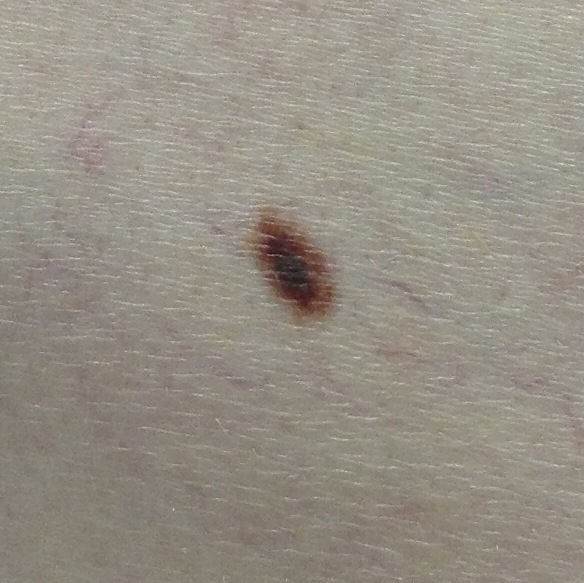 Download SkinVision to check your skin for skin cancer and get an instant risk indication. But on your own body, make sure to check for these symptoms too. 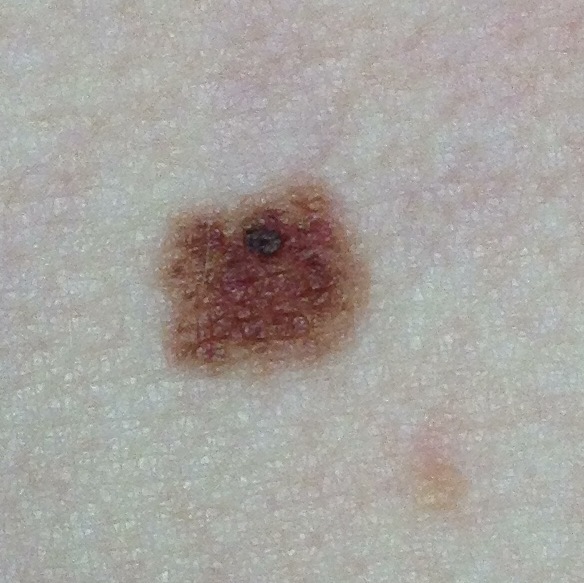 You will notice that all normal moles pictures are quite different from each other, which makes it harder to detect the disease from pictures. Download the SkinVision app to do a first check for instant risk indication or go visit a doctor.